Are you worried about maintaining the soundness of your horse? Joint problems are virtually endemic with performance or aging horses. Grand Flex was designed to provide a powerful tool to help keep your horse fit and sound. 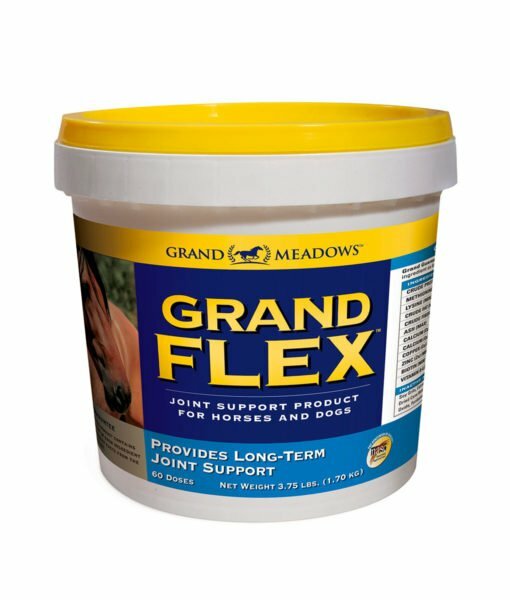 You owe your horse the extra horse joint supplement support that Grand Flex can provide if you want to keep him moving at his best. 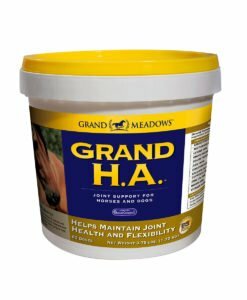 Grand Flex has been repeatedly recognized in Horse Journal as the best glucosamine product on the market. 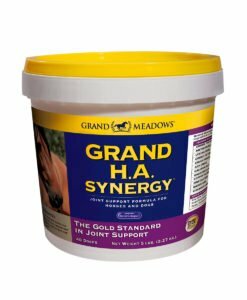 By combining glucosamine with important co-factors Grand Flex will not only support just the joints, it will also help to maintain and support associated tendons and ligaments, providing a much more comprehensive solution. Top professional riders all over the world use Grand Flex along with thousands of other horseowners – the one consistent response we always get – IT WORKS! "I have kept Grand Flex in my barn for over 15 years with consistent good results. I am convinced my vet bills are reduced by the lack of joint and digestive problems we now have. As a trainer working with a variety of breeds of all ages and disciplines I researched many products to find a QUALITY supplement that was effective and simplified our feeding program – my clients couldn’t be happier." 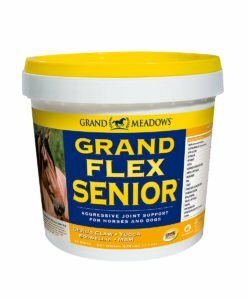 "I have used Grand Flex for many, many years and it has helped my horses perform at their optimum potential and keeping them fit and in the show ring competing at their best. My students appreciate the Rewards Arena Program and all the great gifts they earn off the Reward Points. Grand Meadows is the best!" "At age 31, Cassius would not be competing at Prix St. George without Grand Flex which he started on when he was 10 years old and I’ve fed it to him ever since! 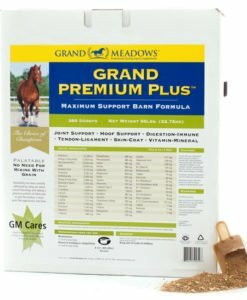 Thank you Grand Meadows for great products that I trust." 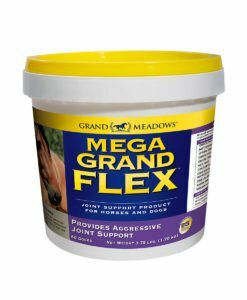 "I have been feeding Grand Flex Joint Supplement to my 8 year old German Shepherd for over a year now. When I first started, he could barely climb the stairs – now, I can take him out hiking without worrying that he will be in pain afterwards. Thank you for giving me back my hiking buddy!"